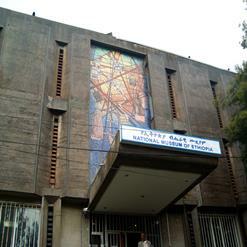 Also known as Kidist Selassie, Holy Trinity Cathedral is one of the most important places of worship in Ethiopia. It is the highest ranking Orthodox Cathedral in Addis Ababa. The cathedral complex also has Bale Wold Church which is known as the Church of the Four Heavenly Creatures. If you are visiting this cathedral, plan an hour to appreciate its beauty.